Capturing video is bigger than ever, and it's easier than ever. You also get video centric controls and in most cases, better audio from the built-in mics. And if you need even better audio, mic inputs and outputs. The downside to a lot of consumer camcorders is that the sensor is not very large. Compared to other cameras you might get. They are even smaller on, in most cases at the low end, than what you'd find in your typical smartphone. Now I know what you're saying, you already have a perfectly good video camera, it's the one in your phone. And that's for the most part pretty much true these days. While a lot of smartphones turn out some pretty great videos. The bigger concern is stabilization. You wanna make sure it stays nice and stable. 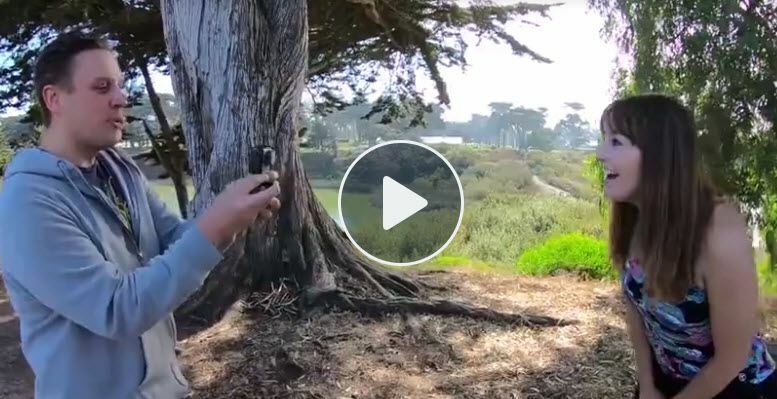 To do that, you want to invest in either a monopod or a tripod or you might want to consider going with a motorized gimbal which stabilizes your phone while you're walking with it. So if you really wanna make your video a little bit better than just shooting with your phone consider adding with some lenses which can be either magnetically attached to the phone or you can get a special case that will attach the lenses to the phone. Also add better audio. Now most of the time you're recording audio of people And we get a couple feet, and that's fine with just your phone, but once somebody steps away from you you're gonna want an external mic. [MUSIC] For those times when you wanna go hands free or you don't wanna use your phone. There are action cams out there. Those action cams can record really great video. They're small and mountable. So you can get suction cup mounts to put on your windshield, or pole mounts to To get a higher vantage point. There are just so many accessories out there for it, that you can do a lot more with that little camera than you might be able to do with your smartphone. These days most action cams, most higher end action cams come with electronic image stabilization, which can degrade video quality. There are some out there that have optical image stabilization, which Which is better. But even better than that is getting a three axis gimble for it. Again, a motorized gimble keeps it stable while you're running around with it or have it attached to you in some way, and it just provides better, smoother video. [MUSIC] Now along the same lines as action cams is another category, and it's sort of taken off, and that's 360 cameras. Consumer models are small and they allow you to quickly capture a full 360 degree panorama view of your surroundings. Unlike action cams, they're not best used when you're moving. You wanna keep them still, so that you can get the whole scene. [UNKNOWN] and people moving around through it. However there are models out there that do use electronic gaming stabilization to smooth things out when you are moving. Also that extra bit of digital processing can give you the ability to turn 360 video into standard widescreen. Screen video. The big issue right now with consumer 360 cameras is the video quality just isn't that great. [MUSIC] Probably the biggest thing you'll be missing from action cams and 360 cams and your phone is zoom. Now I know if you really need a long A zoom lens, to capture events or anything really far away, you're gonna wanna consider a point and shoot camera. Now, like camcorders, that market's kind of dried up too, but there are still plenty out there. And they capture great video, and they're much easier to afford, and come in a wide variety Styles. And most of the cameras now have wi-fi built in to them, so you can connect the camera directly to your phone and shoot remotely using your phone. [MUSIC] Now, your main goal with your video is to become a YouTube star, there are a lot of options out there. But most people go for digital SLRs. And interchangeable lens cameras. The benefit there is that you can switch lenses so that you can get a variety of shots. You can switch to a zoom lens or a fixed focal light lens. And you've got a wide variety of accessories to make your life easier while you're trying to shoot your own video. Starting up with a digital SLR, or a mirrorless camera for shooting video is very expensive. Or buying not only the body of the camera, but you also have get the lenses for the camera, which can be anywhere from a couple hundred dollars to thousands Tens of dollars.